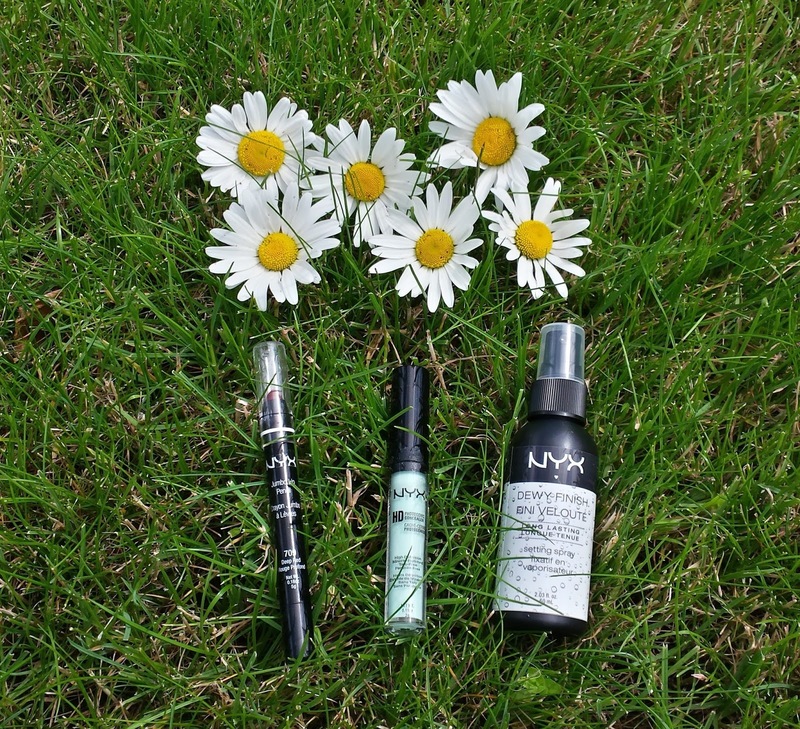 The Retro Suitcase: Cancel That Order…Get Your NYX Fix In Ireland! 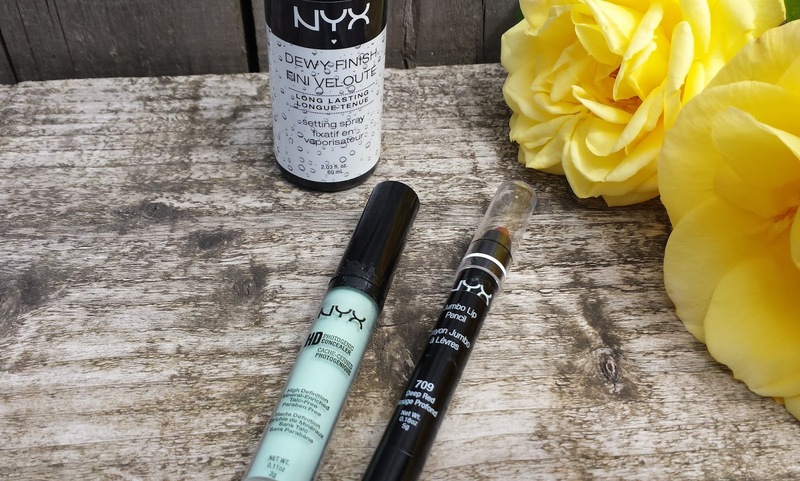 Cancel That Order…Get Your NYX Fix In Ireland! NYX, an American makeup brand known for its excellent and affordable products, has landed in Ireland. Gone are the days when you had to wait weeks for your order to arrive from the US, now you can pick up your favourite lippy and blush in your local pharmacy! NYX is currently in 25 pharmacies nationwide and I’ve heard more pharmacies will be stocking it in the coming weeks. 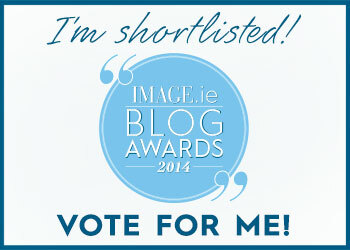 You can find a full list of Irish stockists here. 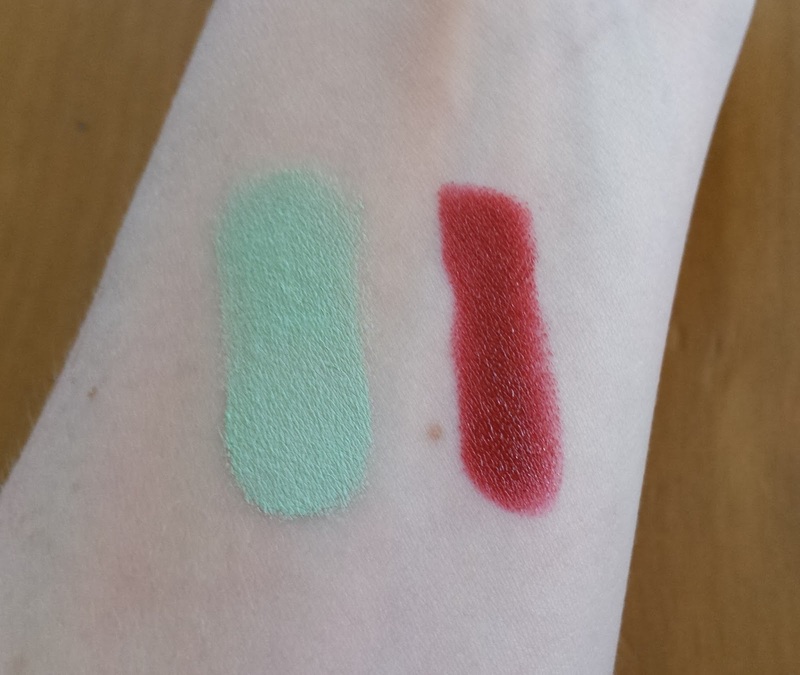 Upon discovering Mangans Pharmacy in Sallins, Co. Kildare is one of the stockists, I rushed over there to browse (swatch the hell out of!) the stand. I somehow managed to control myself and purchased only three products. I’ve wanted to try these for ages, especially the green concealer and setting spray as so few budget brands carry those particular items. Here’s my thoughts after a week of putting them through their paces. There are three colour correcting concealers in the range; yellow for under-eye darkness, lavender to counteract dullness and green to reduce the appearance of redness. I picked up the latter as I’ve some redness in my cheeks and around my nose that has become increasingly difficult to cover. I really like this concealer although it took me a few days to master the application. You only need a tiny amount; it’s a creamy formula but quite thick. I found it was best to dot on the product rather than brush it on and blend, blend, blend. You'll be left with a green cast on your skin but my foundation goes on smoothly and effectively covers it. This is an impressive concealer; it’s non-drying, long-wearing and best of all, my redness was undetectable. However, I’ll probably reserve this for nights out and special occasions as the application takes too much time for my everyday makeup routine. A lip liner and lip colour in one - it seems every brand have their own take on this from Clinque’s Chubby Sticks to Revlon’s ColorBurst Balms. However, I feel NYX’s Jumbo Lip Pencils are in a league of their own. I was taken aback by how long-wearing but moisturising this pencil is. It’s extremely pigmented, lasts for hours, wears evenly and doesn’t dry out my lips. I also adore the colour; Deep Red is a vampy burgundy shade. Unfortunately there are some drawbacks; it smells rather like permanent marker and appears to melt quite easily. I also expected this to twist up like the aforementioned Chubby Stick and ColorBurst Balm and had to turn to Google to find out how to sharpen a plastic pencil! Apparently they can be sharpened with a regular pencil sharpener as the plastic is just a thin coating. I haven’t tried this yet but I’ll report back here when I do. Despite these flaws, I plan to pick up another NYX Jumbo Lip Pencil in a different shade. It really is a lovely product for such a small price. There are two setting sprays available; one with a matte finish and one with a dewy finish. Both claim to make your makeup last longer. I opted for the dewy finish setting spray as I’ve dry skin and prefer a luminous look. I was initially nervous using this as I was convinced it would make my makeup run, but I needn’t have worried. While it’s definitely not a mist, this spray is light and dries in 30 to 60 seconds. I immediately noticed my makeup looked softer and more natural. I can go overboard with foundation and powder at times and this spray helped to smooth any cakey-looking areas. However, I found my makeup lasted only slightly longer than usual. Fading occurred in the usual place, my nose, and I had to re-powder. NYX Dewy Finish Setting Spray is brilliant for giving your makeup a more natural, somewhat airbrushed finish but if you want your makeup to stay put all day, this isn’t the setting spray for you. Are you a fan of NYX? Have you tried these products? I only got the setting spray yesterday so I plan to give it a good trial and see how I get on with it compared to a few others I have! I think you'll like it, it does give a lovely finish. Just a shame it doesn't set my makeup too well, it might work better on your skin though.